My name is Greg Wilson, Director of Chew Valley Generators. I started the company way back in 2005 at the grand age of 20 as was board of working for other people and decided I needed to challenge myself and find something new to do. Coming from an engineering background and after finishing my apprenticeship and some extra time served, wanted to try my hand at something i hadn’t done before, so generators it was. As a family we grew up with our father always keeping his hands dirty as has been in building, construction, farming and hire, so i guess it was the logical step to follow in those footsteps and give it a go (but i don’t like cows very much). 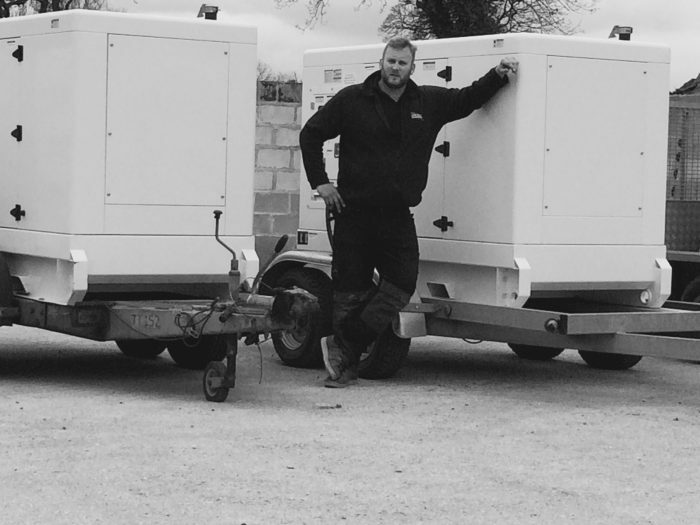 As a result of trading for over 12 years and the company has grown to be well known in the marquee, party and wedding world for our hire sets along with the generator sales and servicing keeping businesses running in their time of need. To be honest there isn’t a lot we don’t do regarding generators now, we range from load bank hire, diesel fills for all those famous films and tv series you watch on the weekends, servicing of any shape and size of generator, sales of generators, tower lights, diesel tanks, oils, filters and so on. We range from Generator hire, load bank hire, diesel fills, servicing , sales of generators, tower lights, diesel tanks, oils, filters and much more. If you have made it this far, thanks for taking the time to have read this and look forward to working with you soon.